The Center for Public Safety Excellence (CPSE) is a not-for-profit 501(c) (3) corporation. We are an international technical organization that works with the most progressive fire and emergency service agencies and most active fire professionals. Our mission is to lead the fire and emergency service to excellence through the continuous quality improvement process of accreditation, credentialing, and education. In 1986, the International Association of Fire Chiefs (IAFC) and the International City/County Management Association (ICMA) came together to develop a framework for continuous improvement of the fire and emergency service. By 1996, this led to the formation of the Commission on Fire Accreditation International (CFAI) to award accreditation to fire and emergency service agencies. In 2000, the Commission on Chief Fire Officer Designation was established to credential fire and emergency service officers. In 2006, the corporation’s name was changed to the Center for Public Safety Excellence, with CFAI and the, now-titled, Commission on Professional Credentialing became entities under CPSE. 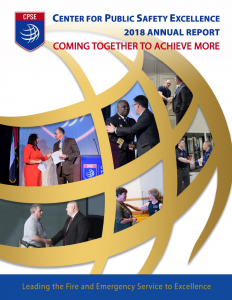 From its inception, CPSE has valued having a diversity of involvement from organizations, including IAFC, ICMA, the International Association of Fire Fighters, the National Fire Protection Association, the Insurance Services Office, and the Department of Defense on our board and commissions. Leading the fire and emergency service to excellence through the continuous quality improvement process of accreditation, credentialing, and education. CPSE pledges our commitment to how we do business. It is a declaration that compels us to listen more, to consider our actions and their impact broadly, and to lead responsibly, transparently, and with integrity. We will use contemporary, thoughtful, and effective quality products and services that are beneficial to our communities. We will create mission-focused direction, define roles and accountability, and build strong relationships with our customers and partners to positively impact our stakeholders and the communities they serve. We will continually monitor our operations and industry trends to ensure programs remain contemporary and to identify opportunities for improvement in the customer service experience. 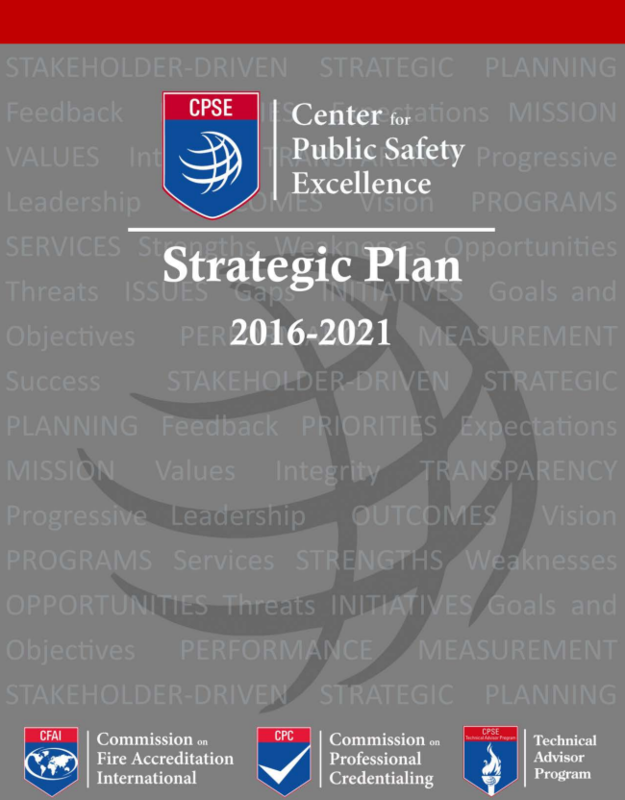 In March 2016, we unveiled our stakeholder-driven CPSE Strategic Plan 2016-2021. 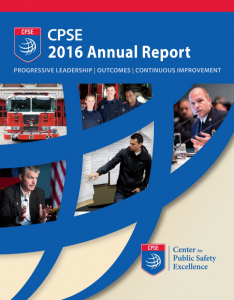 This plan provides the road map for CPSE’s continuous improvement through 2021. CPSE’s Technical Advisor Program guided the development of the plan with a major focus on gaining stakeholder feedback and identifying our strengths, weaknesses, opportunities, and threats. Each year, we publish an annual report highlighting our activities and accomplishments. 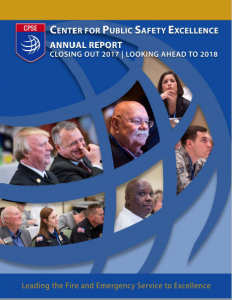 Click on the images below to download reports for 2018, 2017 or 2016.